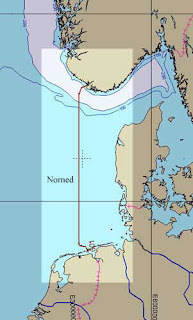 That distinction belongs to the NorNed cable, going through and connecting the countries of Norway at Fed and the Netherlands at Eemshaven. It is 580 km long, but the submarine power cable that was ordered to be placed stretches around 750 km, according to this source. The cable has the capacity to transmit 700 megawatt and is intended for the transmission of electricity between the two countries. The connection is a piece in the jigsaw to create one big European electricity market. The cable itself will contribute to security of supply both in Norway and the Netherlands. The cable is connected to two ‘high voltage direct current’ (HVDC) converter stations in Eemshaven and Feda. These stations cover an area of two football pitches each. The total weight of the cable is 47,000 tonnes and the cable has been installed in eight sections. It took three years and four months to install the cable, and more than ten years of planning.